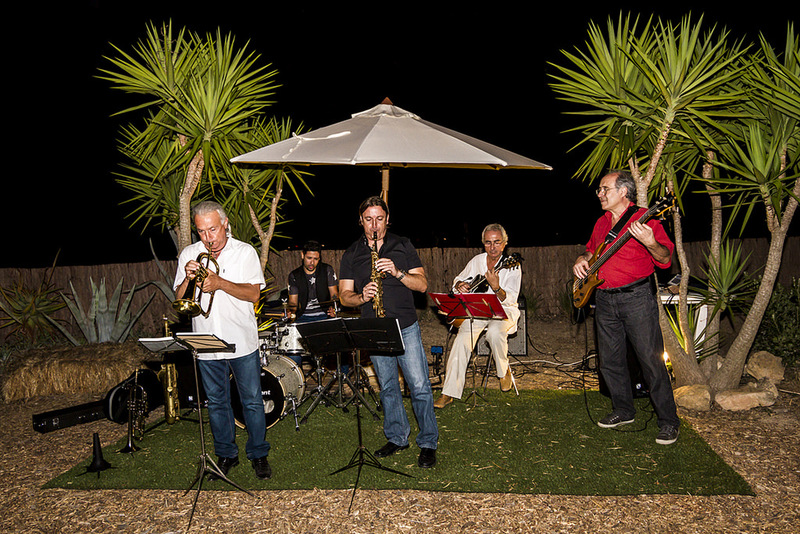 Downtown Ibiza Jazz Ensemble performing live at Can Domingo Ibiza every Saturday from July. 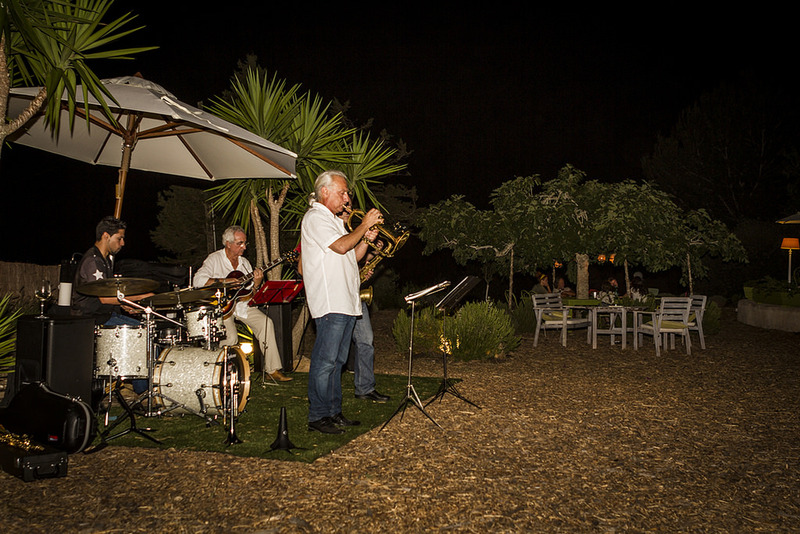 Every Saturday from 9.30pm, the magical Can Domingo garden hosts the great musicians of the golden years of jazz. 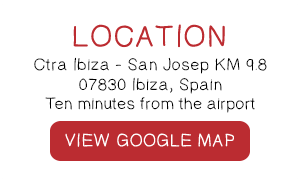 Well, not those artists exactly, but a band – Downtown Ibiza Jazz Ensemble – who are channelling the likes of Miles, John, and Dizzy (for those not in the know that’s Davis, Coltrane and Gillespie). It is said that plants thrive on music, which could explain why the produce from the garden is so luscious; thanks to the weekly dose of jazz classics delivered with intense passion. 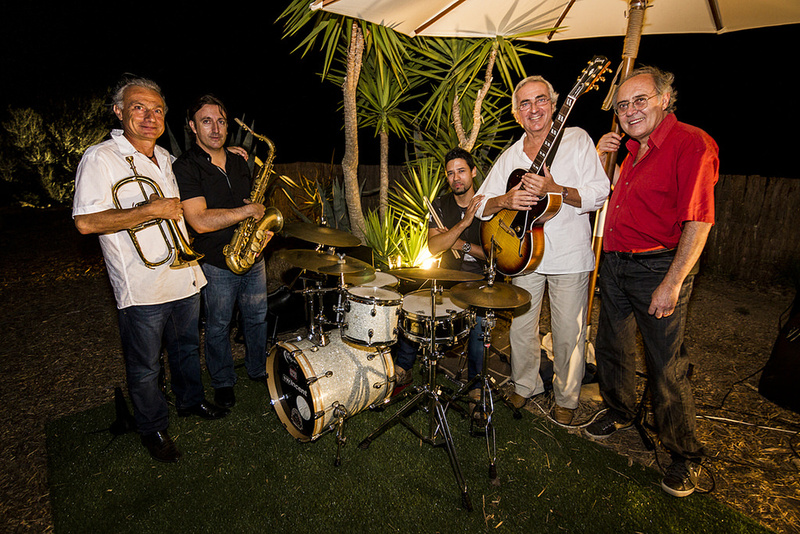 Fulvio Azzini, the band’s trumpet player and spokesperson says all the band members met through the Ibiza music scene a few years ago and on realising their shared love of jazz, decided to get together and play. The result is a sextet of combined musical knowledge spanning over 70 years and a collective CV so impressive that even the most amateur jazz lover would bow down in honour (for example guitarist Jordi Clua accompanied celebrated Spanish singer Joan Manuel Serrat for years). Their ages range from 29 up to 70 years old, adding to the wonderfully diverse mix of classics and modern interpretations. 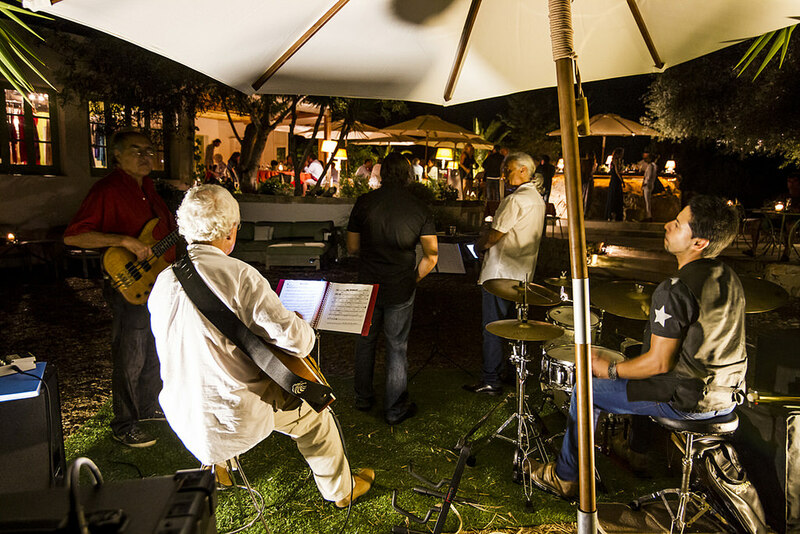 The band was introduced to Can Domingo through founder Alessandro’s wife Chiara, who is also a singer, and the connection was too hard to ignore. 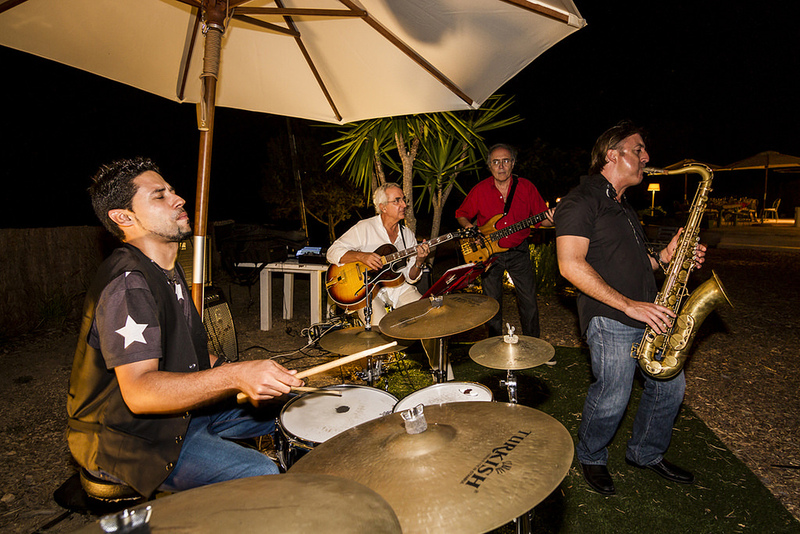 Plans were quickly put in place to host the band and its legendary musicians every week in the picturesque and lovely Can Domingo garden in the hills of San Jose. Sitting at a table shaded by gorgeous old olive and almond trees and listening to the music wafting across the garden is like harking back to another era: one of elegance, style and wit. It could almost be a scene out of The Great Gatsby. 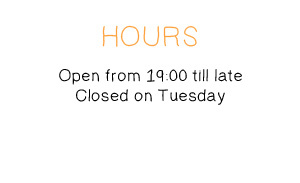 Diners sip cocktails or fine wine while listening to favourites such as All The Things You Are, Misty, Autumn Leaves and Everything Happens to Me. Songs made famous by the likes of Frank Sinatra, Ella Fitzgerald, Chet Baker, Sarah Vaughan and many more well known names from one of jazz’s finest eras.